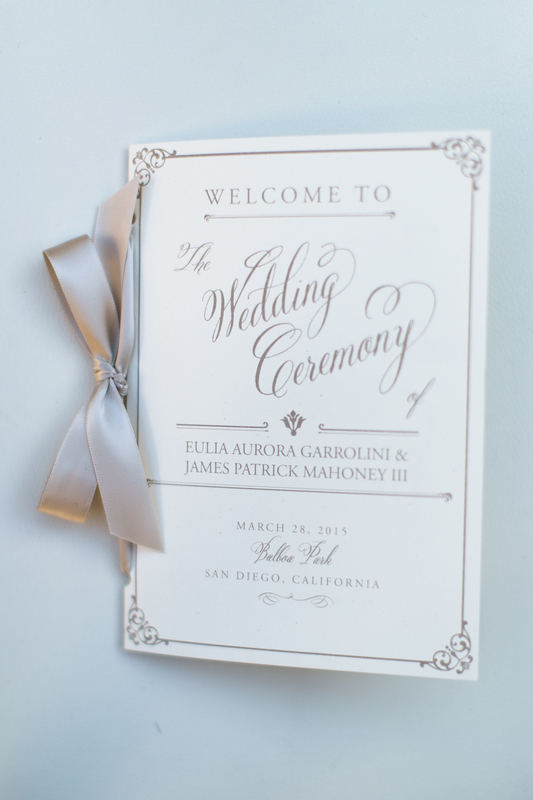 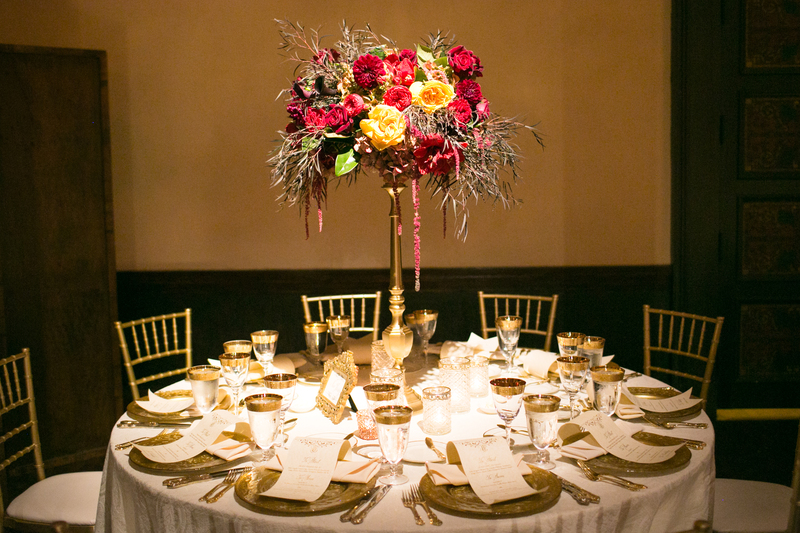 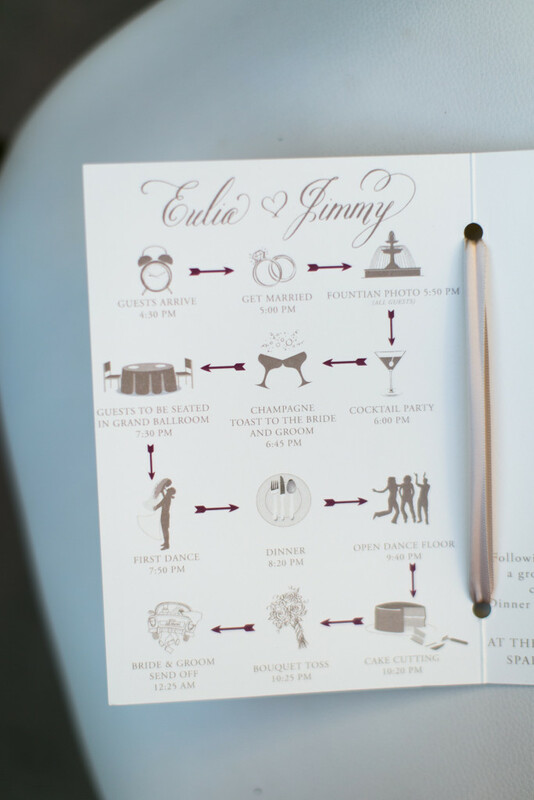 Eulia and Jimmy’s wedding was oozing with Old World Romance. 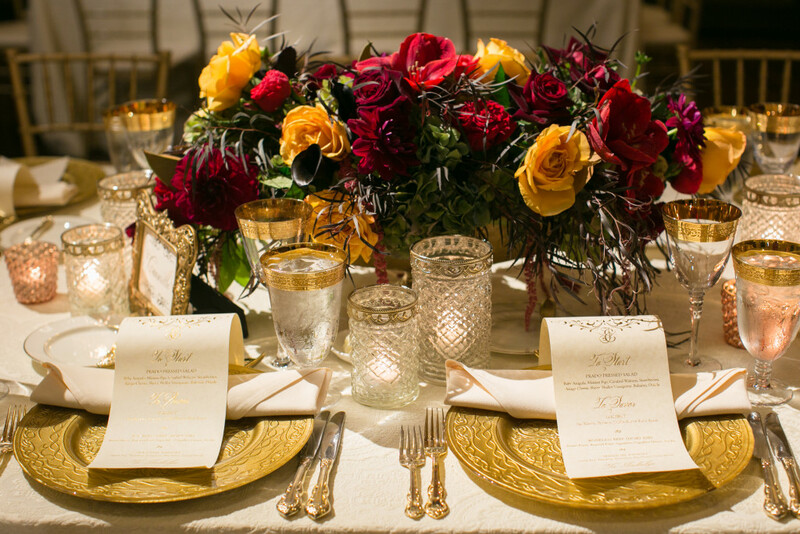 Gold guilded frames and details and lush florals in deep reds, greens and golds. 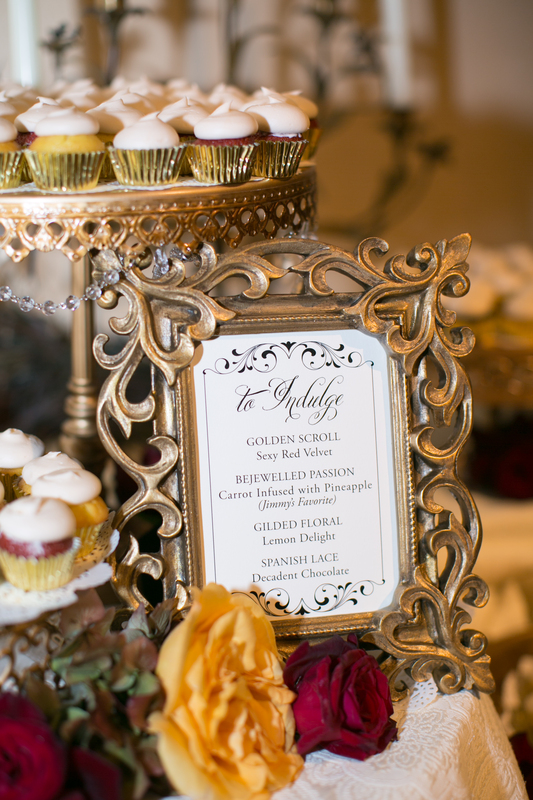 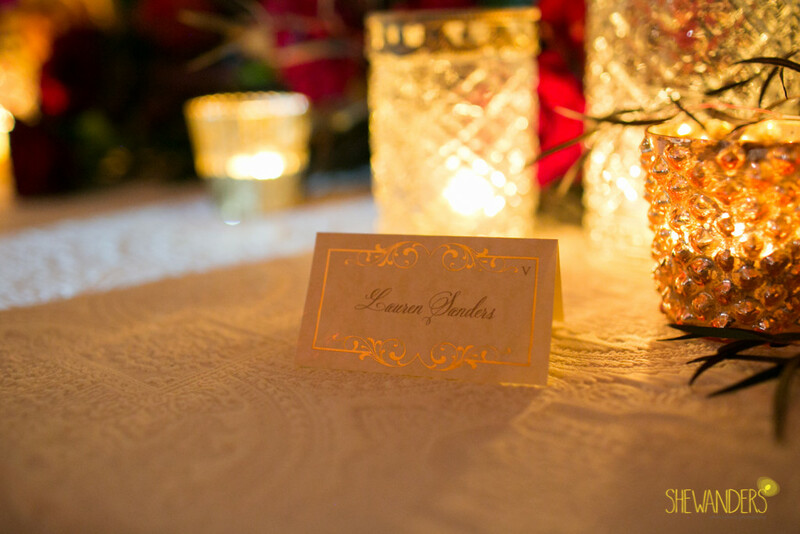 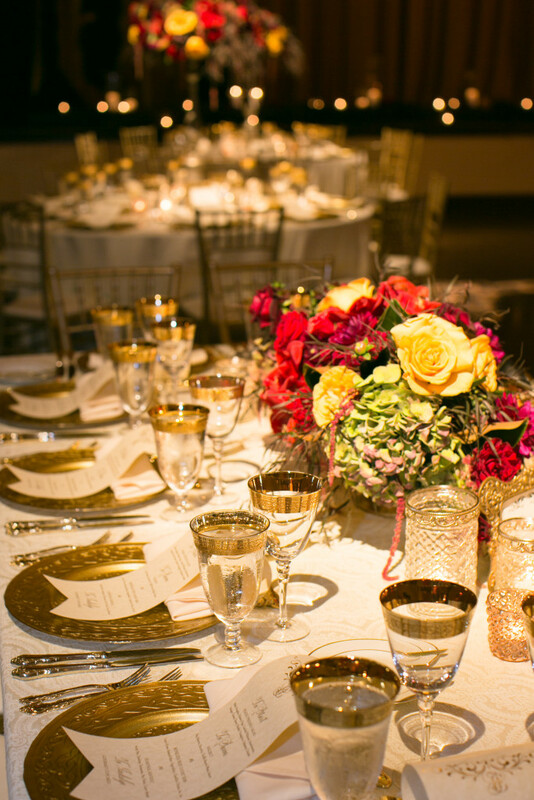 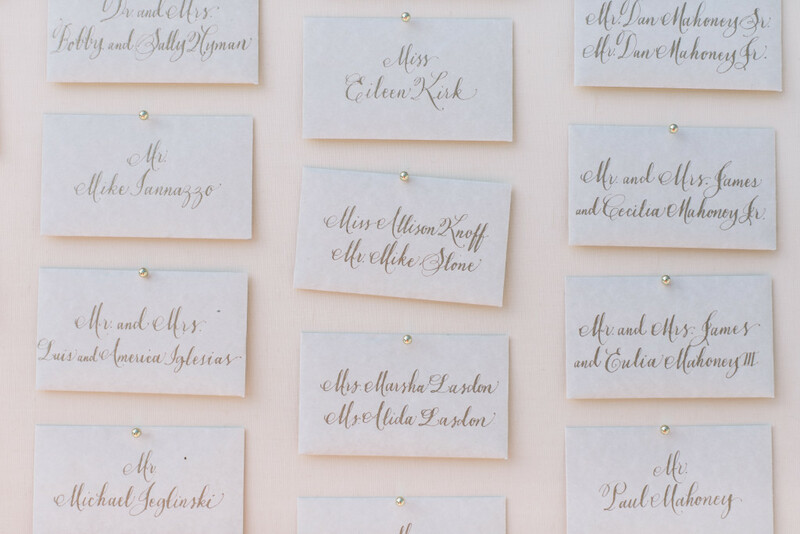 We loved having the honor of designing their day of pieces from gold foil scroll menus to touches of beautiful hand calligraphy, beautiful ribbon-tied programs and more. 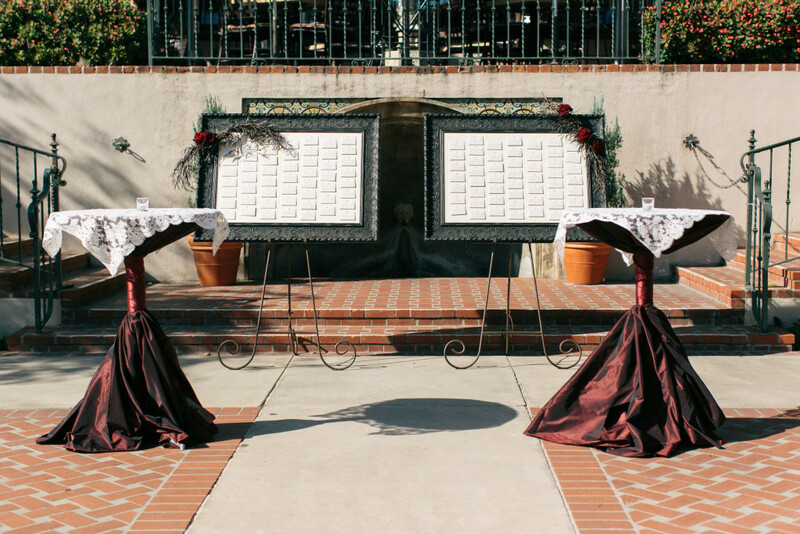 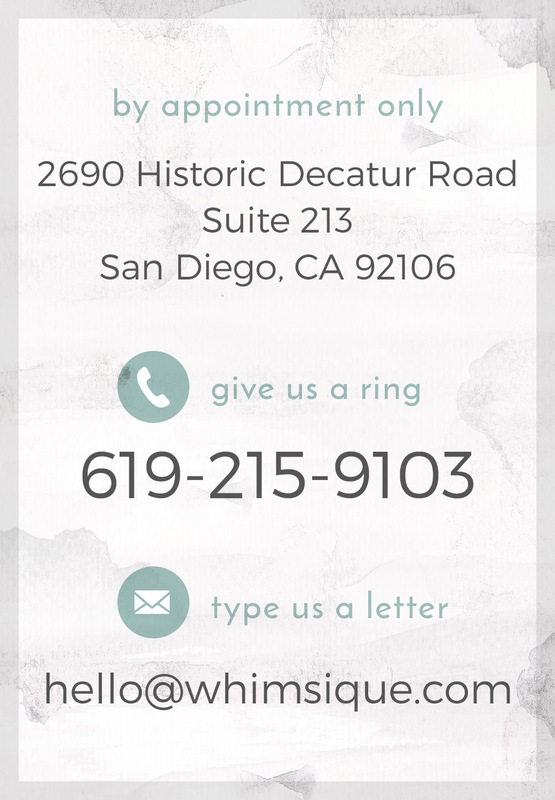 The Prado at Balboa Park was the perfect setting for this Wedding.